And that’s what we’re discussing today – how to say thanks effectively in order to gain and retain allies of all types in the world of business. Keep in mind that our tips are meant to be applicable to your customers, colleagues, supervisors, and peers alike – the full panoply of earners of thanks. With that in mind, here are our four top tips for saying “thank you” in business communications. We all make mistakes in business, and I’m going to share one that I personally made. I was doing some copywriting for fast-growing NYC-based startup (which shall remain nameless) a while back and things were going good. They asked me to tackle a substantially larger workload one month. I got the work done on time and all seemed fine. I turned it all in and was compensated for it, like clockwork. Meanwhile, I was busy tending to other writing assignments and not closely monitoring my inbox for non-critical communications due to having a lot going on at the time. I skimmed over an important message from the startup. They sent me a nice gushing thank you for the work, extolling how well it had turned out, and acknowledging that it was an unusually high volume of work to complete. I did not immediately reply, though I did peruse the message. In fact, more than a month went by before I realized I hadn’t heard from them in a while – and remembered that I hadn’t replied to their last message. So I chimed in with an email unrelated to (and not mentioning) their thank you. From their response, I learned that, while they had been satisfied with my work, they had picked up a new copywriter. It seems that they had inferred that I did not enjoy the higher workload because I did not reply to their message of gratitude, and they were incidentally planning to permanently ramp up the volume of work needed going forward. Even though I actually did not have a problem with the added assignments, and would have been glad to handle it, I understand their perspective. I was so busy dealing with the other tasks at hand that I brushed past the pleasantries. And it cost me. So the first point I’d like to make is this: let the thanks flow freely. Thank those who thank you, every time. It just might be the key to the business, just as it was for me. Had I rattled off a quick “It’s my pleasure. Thanks!” in response, they might not have made the inference that I didn’t like working for them. It’s important to say thank you to your customers, but always remember to make it personal to them. Tired, old sayings like “Thank you for your business,” or “We appreciate your patronage” don’t really do much to personalize your thanks. Avoid clichéd language like those examples and focus on them, by name. Think about it: as soon as you say “business” you have just made a customer realize that, yes, despite what rapport you might have, at the end of the day, they represent a business transaction. That kind of thing is diminishing of the relationships you have worked so hard to build. It’s easy enough to use the latest technology to send out a personalized version of a mass email for discrete customers. Your customers will notice a message that says, “Thank you, Jane,” well before they’ll read something that says, “Thank you for your business,” or any similar phrase. While a quick note will work in many business settings, some situations you’ll encounter will call for a more formal thank you letter (or email) to be sent. Some examples of scenarios necessitating a slightly more formal tone include sending thanks to outside professionals who attend a conference at your business, external organizations that provide their services to you, especially if they do so free of charge. This means you will want to write out a well-developed letter of thanks, still not to exceed a page of writing. Thank you so much for attending NuGlobal Digital’s 2nd Annual Ultimate User Experience Conference on November 6, 2013. Thank you for delivering your presentation, “The Future of Flat Design.” The discussion that ensued really got a lot of people thinking about revamping their commercial websites to incorporate flat design. In the days since the conference, we’ve received many positive responses relating to your presentation. It was really wonderful. If you’re available to speak again next year, we’d love to have you back! Again, the above is sufficiently formal that it could be a letter, but it’ll work just as well in an email. And its format is the “formal” part; the language itself is not too stuffy. Since we’re discussing virtually all angles of thanks in business communications, on a note related to the example I described in No. 1 on this list, it’s always nice when “the boss” says thanks. No matter what type of work is being performed, employees appreciate personal thanks from the boss. In fact, appreciation is a major motivator of people, for some, more than money. 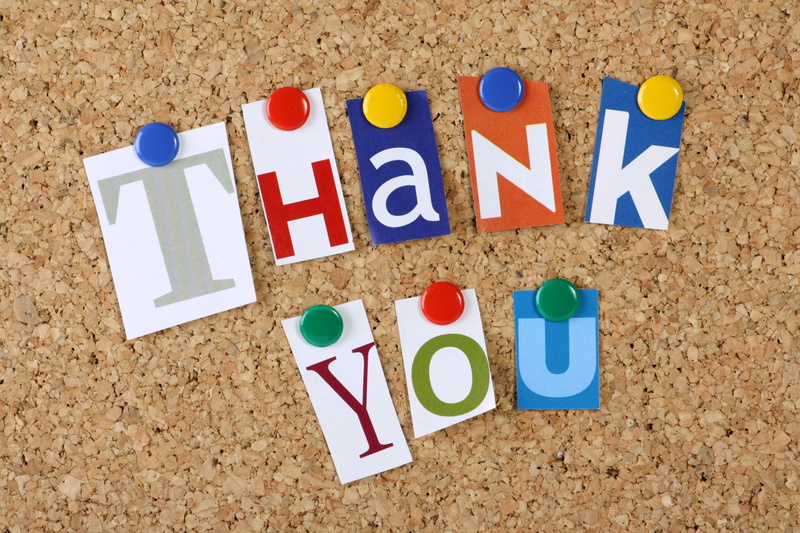 Have you ever experienced working for a manager who never, ever uttered a word of thanks, verbal or written? If you have, you know firsthand that it’s not a good feeling. So, if you’re the boss, out there reading this, remember that a little thanks goes a long way. There are some supervisory types who ascribe to the belief that a paycheck is thanks enough. But that’s not really the case. In truth, that’s a pretty mechanized way of viewing the nature of employment. People value themselves, and they like to know that you value them too. Keep in mind that even in the military, where most work is done by definitive “command and control” management, the greatest commanders are quick to give thanks throughout the ranks. If you have any doubt as to the effectiveness of gratitude in business, you can always consult the antithesis of “command and control” management for more examples. Are you a giver of thanks? For some, showing gratitude is second nature, an everyday thing to do. But, like me in the first example, you can sometimes become so consumed with the work you do that you overlook the value of gratitude. So remember to express gratitude at every turn – to customers, supervisors, colleagues, employees, and peers alike. Once you start, as I have learned since I made the mistake I mentioned earlier, saying “thank you” with consistency forms a habit. And routinely showing gratitude is a great habit to have. 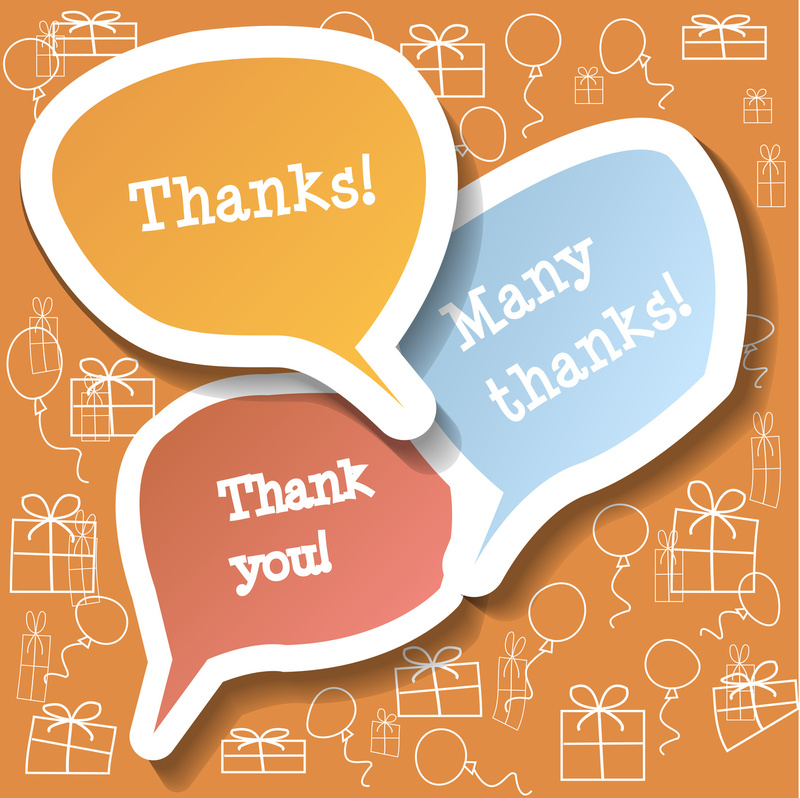 How has showing gratitude helped you in your business? Has a lapse in appreciation caused you problems? We’d love to hear from you in the comment space below. Oh, and thank you in advance.